Among the household consumables items, electrical multi plugs many essential things. Also, it has big consumers in commercial establishments and industries. However, if you want to start a multi-plug manufacturing business then you can start it easily as it needs a small capital investment. And even you can set up the business at your home in a small unit. When it comes to making, breaking, or changing the course of an electric circuit, an electrical switch is a commonly used device. In order to flow current into them, electrical sockets are used to connect electric appliances to the commercial power supply. In this case, you can pair electrical sockets with electrical plugs. And they work jointly so that it can help running of domestic as well as the industrial electrical system properly. Electricity is not only using widely in every field but the demand for electricity is increasing day by day with the addition of new building – commercial and housing. This is because the demand for electrical accessories like switches, plug & socket etc are increasing gradually. A recent study has shown that non-fused disconnect switches to register the highest growth in the next five years. And this is the growth that’s driven by the Asian region like Bangladesh. It’s a major factor for the growth of the market for disconnects switch in these countries’ increasing industrialization and urbanization in the developing the region. As the electrical control panel is an essential item, it regulates the function of the electrical equipment. It’s also used to protect electrical equipment from being damaged due to short circuit and overloading with necessary relays. Moreover, there are many types of multi plugs for different places and purposes. And its production process is also comparatively easy and requires a low investment. But, when you want to start the business, you should follow many steps to make your business stable and long-lasting. 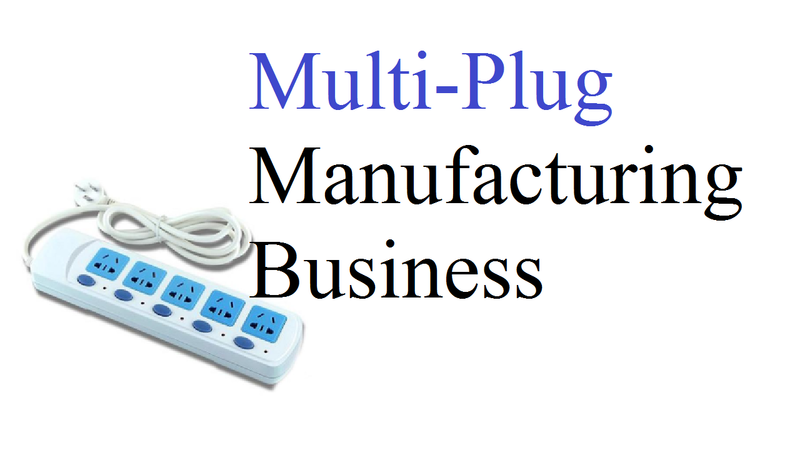 Well, let’s know the steps to start a multi-plug manufacturing business in Bangladesh. It’s essential to perform a research before writing a business plan and the plan must be based on the research. As a result, consider including more information about how you envision your business. Moreover, make a mission statement defining your business goals in it. Also, a detailed description of your business should be included in the plan. As the production can be done in off hours, marketing and customer service should be done in regular business hours. Remember while starting a multi-plug manufacturing business that you should fill out and file any legal and tax documents necessary at the local and national. Together with possible local and national permits or licenses that may be required, these forms will include a business and tax registration form. Plus if you want to get the guide you through much of the process then a local business support organization may be able to do it. However, if you need more specialized assistance in establishing your business then consult a lawyer and accountant. Since multi-plug manufacturing is not unlike any other business, the basic process will be similar, but specific permits may be necessary for your industry. It’s based on your research and financial projections and you need to purchase or lease a space with a storefront and production space. As a result, it’ll be adequate to take a small storefront space with enough room to consult with clients. As it depending on the size of your business, you need to take the production area. However, you can do one thing that starts out with a small station and expands when your business grows. Moreover, as it based on your research and the other supplies you’ll need. You’ll not need to secure a large area because you’re not going to set up a full-scale commercial business. You’re going to start your business in small scale. But, regardless of small or large scales, you must arrange the utilities like electricity, water, and skilled labor. Also, you need not a power load of 3 HP for the operation of the machines as you’re with small-scale business. You’re set with other essential steps and it’s time to start manufacturing multi plugs. And you need to weight the required quantity of the molding compound first of all. After preheating to the molding temperature, place it in a heated mold. As here it is compressed by the hydraulic press, held under pressure while hardening reaction takes place. But, in the compression molding process, you can use one or more cavities. After removing the pressed product from the press, remove the bars. Then use a buffing machine to polish. And finally, take them into the finishing section. Now, you’re ready with your multi-plug manufacturing business and start advertising your business in local newspapers. Moreover, consider joining your local chamber of commerce. When you join to network with local business owners then you can take advantage of the opportunity.